That spirit, the HOUGANG SPIRIT! As we were making our way out from the Counting centre, my phone cannot stop beeping. 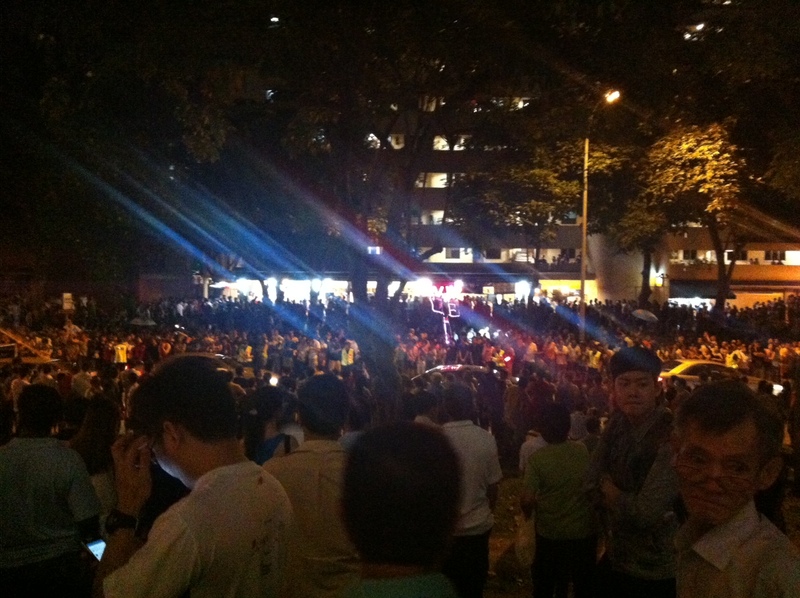 Congratulatory messages as well as 'live' updates on the 'party' going on at Blk 322 kept coming in. 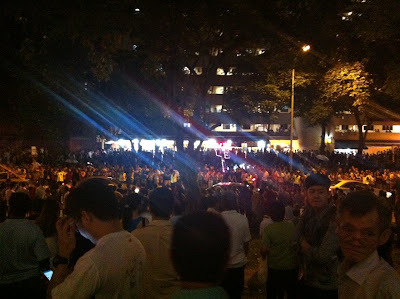 As we approached Blk 322, we could hear the thunderous cheer. What greeted us was the 'Hougang Spirit'. Both sides of the road were filled with people. They were chanting non stop. Whenever there is a car that passed by with the WP flag on it, the crowd will cheer even louder. The drivers will then respond back with a series of honking. As if that wasn't enough for the police to handle, the drummer was there! The one that will sit right in front at every of our rally :) I turned around and was pleasantly surprised to see a huge WP flag, about the size of 4 mahjong table and a banner hanging from level 2! 62.09%........... Hougang is truly unique. We have a lot of people to thank for. Logistics support, house visits team, Admin and paperwork team, IT team, photographers, research team, bouncers, sellers at rally, runner for food, creative team, flyers distribution team, polling and counting agents and most importantly, the people of Hougang. Without them, there will be no victory.